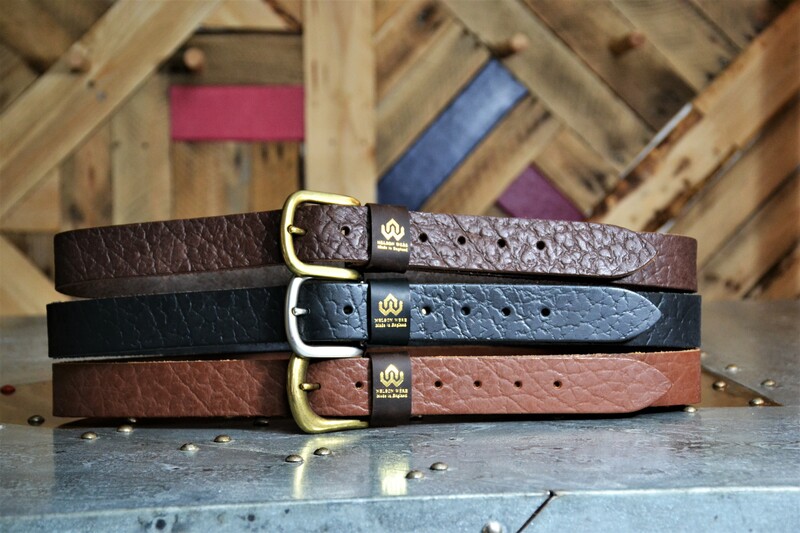 Classic British leather belts made with buffalo hide. 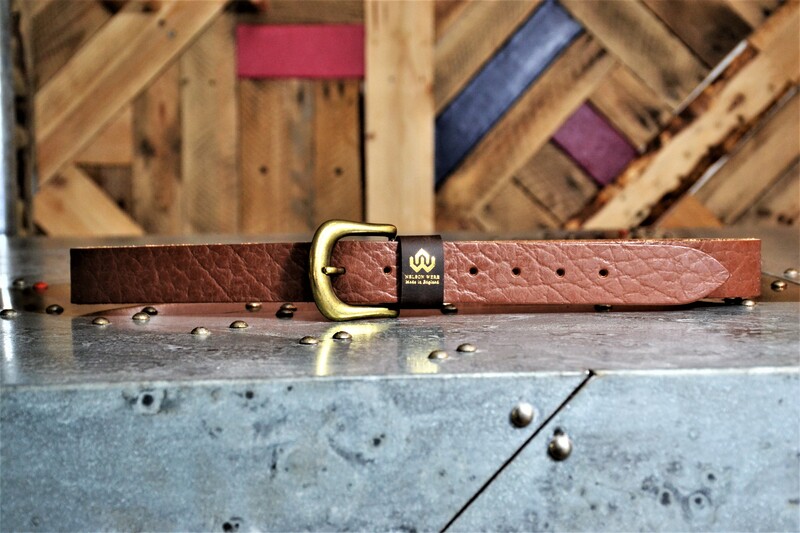 Hand made to measure with quality brass buckles. 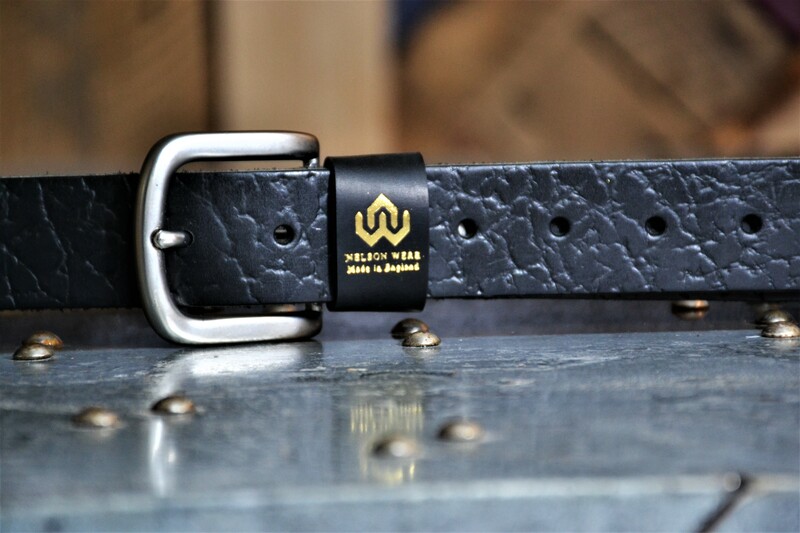 Please order your belt and we will send an email to confirm which size and colour you require us to make. We can make to measure any size- no belt too big or too small! 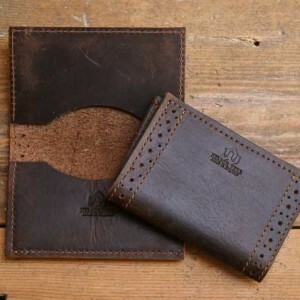 A delightful card holder with brogue details.Hand tooled using traditional tools and leather punching techniques. Nelson Were is a new and exciting, high quality brand of designer leather bags and accessories. All of these original and trendsetting designs are exclusively designed and lovingly handcrafted by Nelson Were himself. 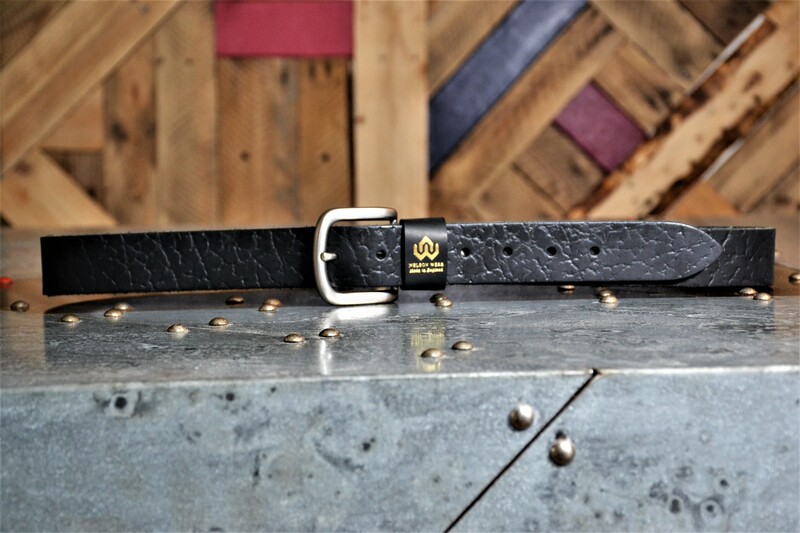 Each piece is individually handmade to order using traditional leather craft techniques and high quality leather sourced from businesses within Great Britain. Country Chic !! 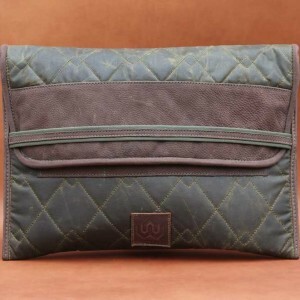 A smart laptop sleeve,made from British quilted waxed canvas and sumptuous brown textured leather. Large enough for a laptop or tablet and your paperwork with exterior patch pockets for cables etc. 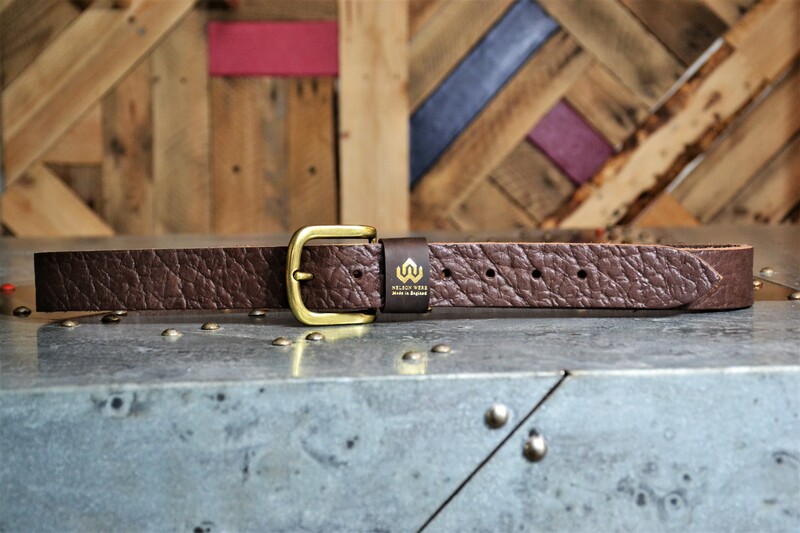 Classic British leather belts hand made to measure with quality brass buckles. 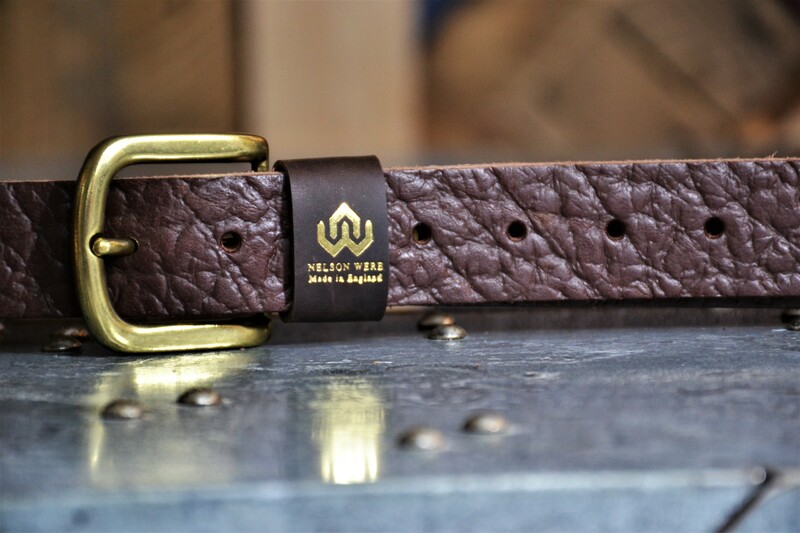 Please order your belt and we will send an email to confirm which size you require us to make. 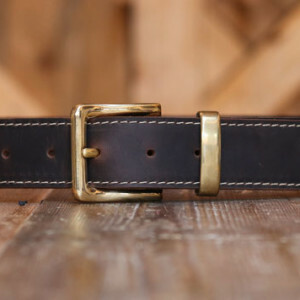 We can make to measure any size- no belt too big or too small! 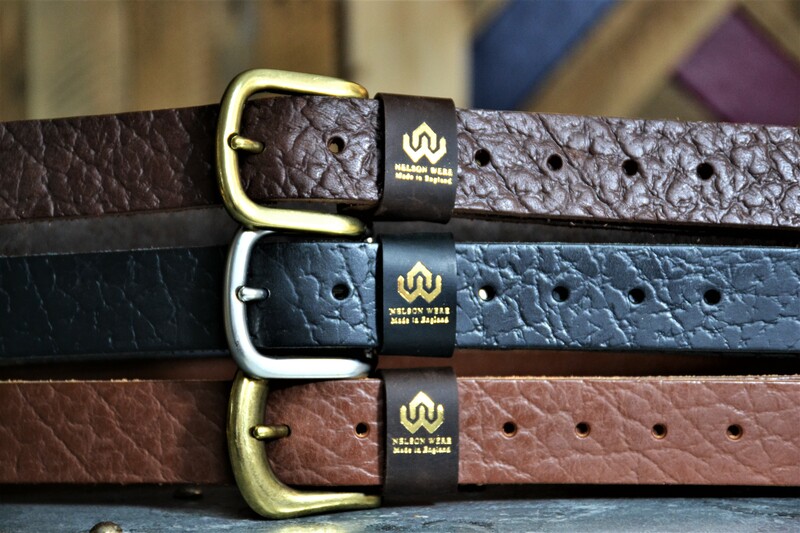 If you require a belt of a different colour to those we carry in stock please contact us at the studio. 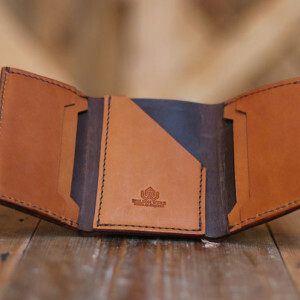 A useful and compact tri -fold wallet with slots to hold 5 cards and a pocket for notes. Nelson Were is a new and exciting, high quality brand of designer leather bags and accessories. 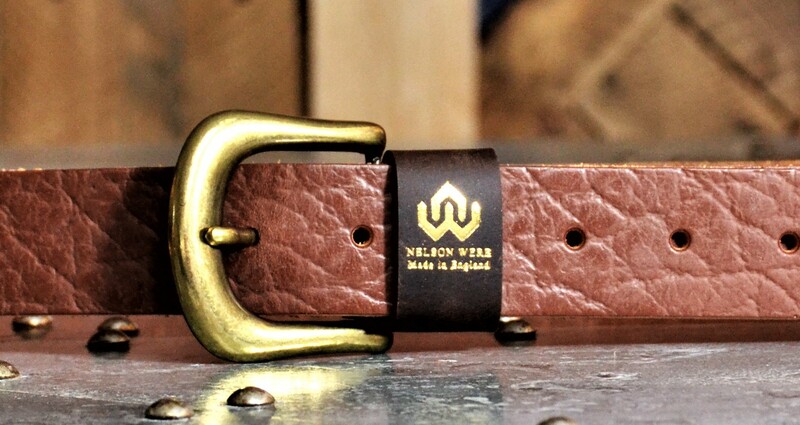 All of these original and trendsetting designs are exclusively designed and lovingly handcrafted by Nelson Were himself. 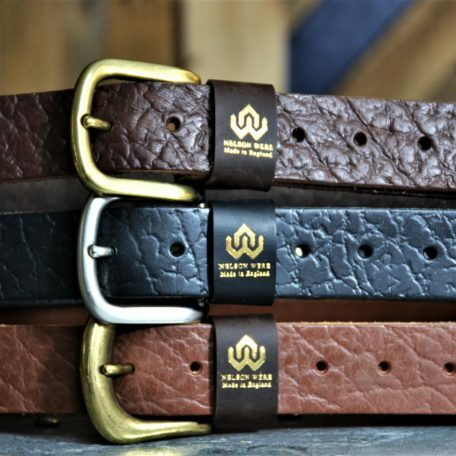 Each piece is individually handmade to order using traditional leather craft techniques and high quality leather sourced from businesses within Great Britain.